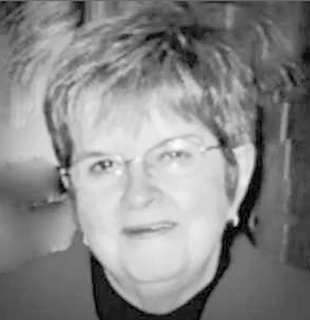 It is with great sadness that the family announces the peacefully passing of Patricia Yvonne French (nee McMenemy) surrounded by family and friends on January 8, 2019 at Health Sciences North, Sudbury. Loving mother of Nory (Lynn), Jason (Kim) and Tricia (Jake). Cherished grandmother to Kaley, Jevon (Sophie), AJ (Destiny), Harley, Dawson, Kari-Lyn (Will), Kandiss, Taylor and Danielle. Proud great grandmother to Chase. Born in Sault Ste Marie to the late Robert and Mary McMenemy (nee Beaudette). Special sister to Katherine Bates of Toronto and Betty (predeceased) from Sault Ste Marie. Pat will be sadly missed by many nieces, nephews, extended family and her many friends from the Yukon, Wawa as well as many other places. She will be remembered as “Pattywagon” for her fiery spirit, strong work ethic, free hearted generosity and sense of humor. Pat loved her passion for cooking for “large groups” (even if there were only a few people at the table). She loved to spend time in the wilderness to watch the animals (except snakes). In keeping with Patricia’s wishes, there will be no visitation or service. A Celebration of Life will be held at a later date. Arrangements have been entrusted to Ranger’s Cremation & Burial Services Ltd.